To assist persons with visual impairments to develop their capabilities to the fullest and to utilize them in the pursuits of life which are the right and privilege of all. Founded in 1946, The Lighthouse is a private, nonprofit agency providing direct education and rehabilitation services to people who are blind or visually impaired in Palm Beach, Martin, St. Lucie, Indian River and Okeechobee counties. We serve thousands of individuals of all ages: children and young adults, people of working age and our area’s fasting growing population with age-related vision loss. We also provide services to family members and caregivers of those who are blind. We provide consultation and education to businesses, agencies, institutions and organizations in the community who employ or interact with persons who are blind or visually impaired. 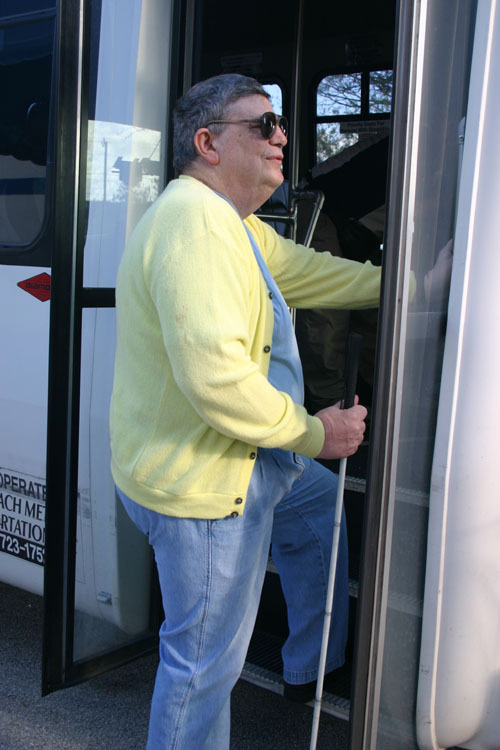 With the exception of low vision services, no fees are charged, and services are funded almost entirely by charitable support. The Lighthouse for the Blind of the Palm Beaches is fully accredited by the National Accreditation Council for the Blind and Low Vision (NAC), and is also a member of the Florida Association of Agencies Serving the Blind (FAASB). The Lighthouse is partnered with Gulfstream Goodwill Industries and funding is partially provided by the State of Florida Division of Blind Services.